The process of moving into a new home can be stressful. At Specialized Property Management, we understand that, and we want to ensure a smooth and pleasant experience for all of our residents. Today, we’re reviewing our leasing process so you know what to expect when you’re considering a Dallas rental home that we manage. When you’re looking for a rental home, you want to find something that fits your budget and your lifestyle. That might be a single-family home, a modern apartment, or a condo that involves low-maintenance living. Whatever you’re looking to rent, we have a wide range of properties available on our website. You’ll also see them on other rental websites that Dallas tenants use. You can scroll through our properties and sort what you’re looking for by price, number of bedrooms, or neighborhood. You can read descriptions, view photographs, and check out whether pets are permitted, how much the rent will be, and when the property is available for move-in. Take your time and compare the available properties to your list of things that you need and want in a home. Think about why you’re moving and what you need. Consider what will increase your quality of life. You might want something that’s in a good school district, or a city apartment with parking. Maybe you’re looking for a large yard or an easy commute to work. Once you have reviewed our listings and selected a home that meets your needs, schedule a time to see it. We make it easy for you to visit and tour properties on your own schedule and timeline. We’re also available to ask any questions you might have before or after the showing. We always value feedback from prospective tenants, so let us know what you think about the properties after you visit them. You don’t want to waste a lot of time and money applying for dozens of properties, so when you see a home that you love, fill out an application! You can apply quickly and easily using our online application. You simply need to go to the property listing on our website and click the button that says apply online next to the desired listing. There, you’ll be directed to the complete application, which comes with detailed instructions and the opportunity to upload any of the supporting documentation that we need from you. It’s important to remember that all occupants 18 years of age or older must complete an application in this way. Each application also requires a full payment of the application fee so we can process the paperwork. It’s necessary to list all adult occupants on the lease, and we need to screen every adult who will reside in the property. As you’re filling out your application and preparing to submit it, we will ask for three additional items to help us complete the screening of your application. These items are pretty standard with any rental application, and we make it easy for you to upload the required documents online while you’re completing the form. First, a copy of your driver’s license. This is necessary to confirm your identity and match the information to the other documents you provide. It also helps us to complete the necessary criminal checks, background checks, and credit checks. We also need your most recent paystub. This will allow us to verify the combined gross income of all the adult tenants who will live in the property. We require that the total income is no less than three times the amount of your monthly rent. If you’re self-employed or retired and you don’t have a paystub, tax forms and bank statements may also be accepted. Finally, we also need the correct contact information for your current landlord. This is an important part of verifying the last two years of your rental history. We will talk to your current and former landlords about whether you paid rent on time, left any property damage, and followed the terms of your lease agreement. We know that you’re in a hurry to start making your moving plans, but we ask you to please allow two full business day for us to complete the entire application process. At Specialized Property Management, we are thorough and consistent. Once your application is approved, you’ll be contacted by our office to schedule an in-office lease explanation and signing. This is an important opportunity for you to review your lease in detail with our qualified and experienced representatives. We will go over our expectations, answer your questions, and discuss the responsibilities of tenants and property managers. You can ask for clarification on anything that doesn’t make sense, and we’ll go over the policies for rent collection, maintenance reporting, and inspections. We’ll also prepare you for the move-in process and even the move-out process. At this appointment, we need you to bring the full security deposit as well as any applicable pet deposits. Please bring these funds in the form of a cashier’s check or a money order. Additionally, you’ll need to bring a separate cashier’s check or money order to pay the administration fee. This fee covers the costs of setting up your account and giving you access to your online tenant portal, where you’ll find a lot of valuable information. You can use your online portal to pay rent, request repairs, and keep in touch with your management team anytime you have a question or a concern. Your payment should be made to Specialized Property Management, and you’ll receive a receipt before you leave the office. At this point, you also have the option to submit your first month’s rent. It’s very important that you come to the lease signing and deposit process as soon as possible after you’re approved for the property you want. The home will remain on the market until the lease is fully executed, so don’t delay this meeting. We want you to sign the lease and begin making preparations for your new home. Once you sign your lease, you’ll discuss your move-in date with our staff. The first full month’s rental payment is due between the time that you sign the lease and the date that you move into the property. You can pay during the meeting or you can pay using your online tenant portal. It’s a safe and convenient way to make rental payments, sign up for reminders, or schedule advanced payments. Our tenants love the efficiency of paying rent this way. The only thing left to do now is to pack up and move. While we can’t be there to handle all the heavy lifting for you, your property managers at Specialized Property Management are here to answer any questions during the process and to ensure the transition into your new home is a smooth one. We can give you some advice about turning on your utilities, and we can provide resources about the neighborhood if you’re looking for the right school or trying to figure out how far the grocery store is. We will carefully document the condition of your home before you move in, and we’ll make sure everything is clean, functional, and prepared for you. If you notice that something is not quite right while you’re moving in, be sure to let us know right away. We’ll do everything we can to provide you with the beautiful home you expect, and in turn we’ll expect to get that home returned to us in the same condition at the end of your tenancy. You’ll be provided with all of our contact information, including our emergency telephone number in case you need help after hours. The application and leasing process does not have to be difficult and overwhelming. 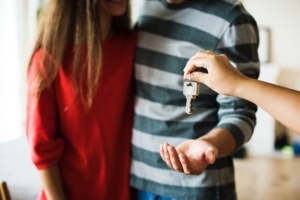 If you’re able to follow our instructions, ask for help when you need it, and make an educated decision about which property is going to make the perfect home for you and your family, we’re here to do the rest. We enjoy providing outstanding rental properties to quality tenants like you. For more on your responsibilities and expectations during the lease period, talk to one of our property managers, or keep an eye on announcements and information found in your tenant portal. We believe that communication is important, and we know that it’s a big part of providing an outstanding rental experience for you. 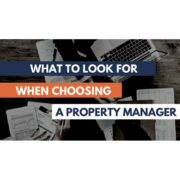 Thank you for choosing Specialized Property Management. We look forward to providing you with a pleasant leasing experience, and we welcome you to your new home. Enjoy getting to know your neighbors and your new community, and let us know if there is anything we can do to help make it better. If you have any questions or any concerns, don’t hesitate to contact us at Specialized Property Management in Dallas.